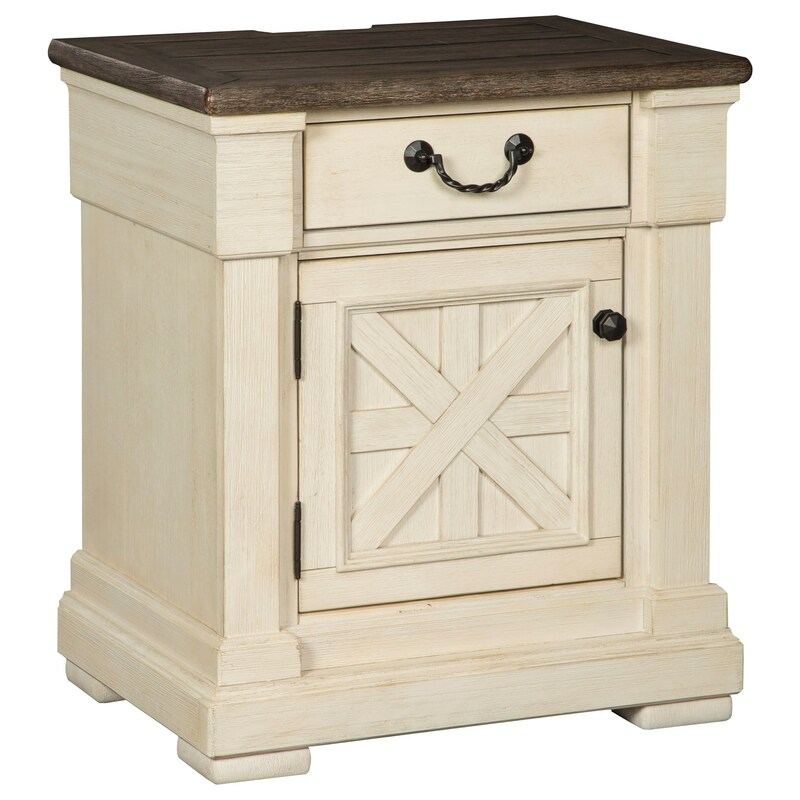 The lattice design door front brings beautiful style to this two-tone finish nightstand. 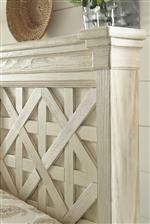 Its breakfront pilasters and profiled base moldings add to the sophisticated design. The textured antique finish has a modern cottage appeal that creates a fresh and inviting atmosphere for your master bedroom retreat. The Bolanburg 1-Drawer Nightstand with Built-In Outlets & USB Chargers by Signature Design by Ashley at Furniture Fair - North Carolina in the Jacksonville, Greenville, Goldsboro, New Bern, Rocky Mount, Wilmington NC area. Product availability may vary. Contact us for the most current availability on this product.